(February 7, 2019) – Crop breeders continue to improve familiar crops. The February 7th Sustainable, Secure Food blog describes crop breeders’ progress towards the future of barley, wheat, and potato varieties. Barley: "Barley breeders are working to make barley more robust in the face of climate change. We also work to make it a more profitable crop for farmers, and more available to consumers," says Hayes. This includes breeding barley that can survive winter's cold and barley that is resistant to drought. 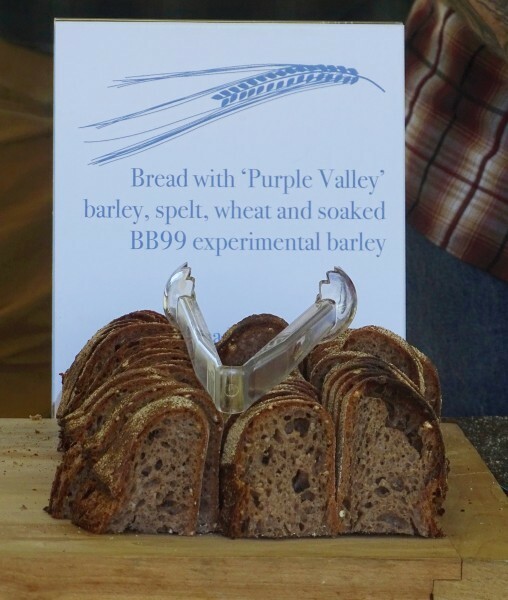 Breeders are also working to expand the choice of barleys that can be used as a whole grain. Wheat: "Increasing variation in temperature and moisture availability...also expands the regions where diseases and insect pests of wheat are found," Zemetra says. Researchers are working to more efficiently pinpoint desired wheat traits in the genetic code. "That helps us be creative and look at ways to cross-breed different varieties. The new higher-yielding varieties will carry the desired traits for disease resistance, temperature tolerance, and end-use quality." To read the complete blog, visit Sustainable, Secure Food at https://sustainable-secure-food-blog.com/2019/02/07/why-do-we-need-to-keep-breeding-new-crop-varieties. This blog is sponsored and written by members of the American Society of Agronomy and Crop Science Society of America. Our members are researchers and trained, certified professionals in the areas of growing our world’s food supply, while protecting our environment. They work at universities, government research facilities, and private businesses across the United States and the world.